Time for Winter Hours! On Nov 1, the Museum switches to winter hours: ‘Open By Appointment’. Please call to schedule a visit for yourself—family—school—group! 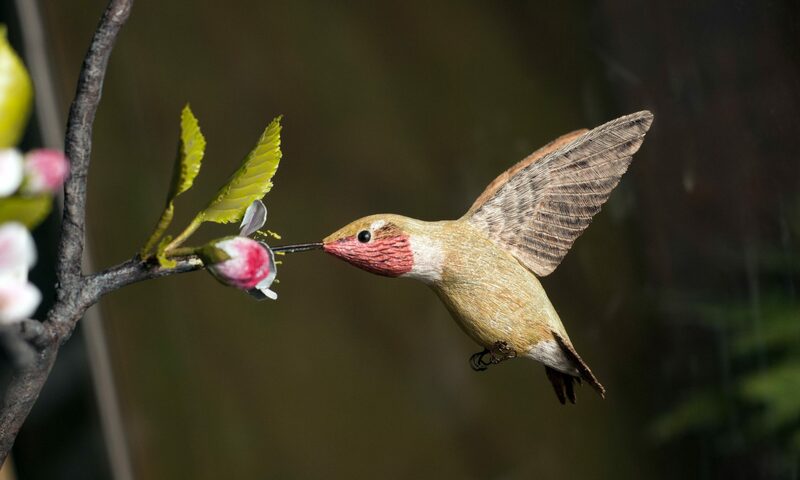 Guest post by Kir Talmage, Outreach and IT Coordinator for the Birds of Vermont Museum. This article also appeared in the Vermont Great Outdoor Magazine. 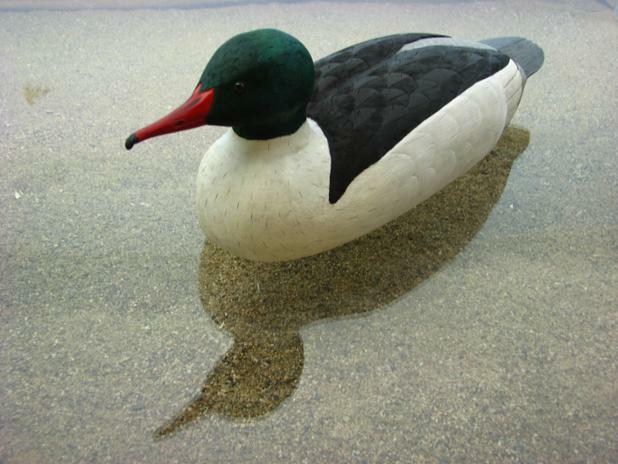 The Museum is showing the work of Peter Padua, a 90-year old Middlebury resident and woodcarver. 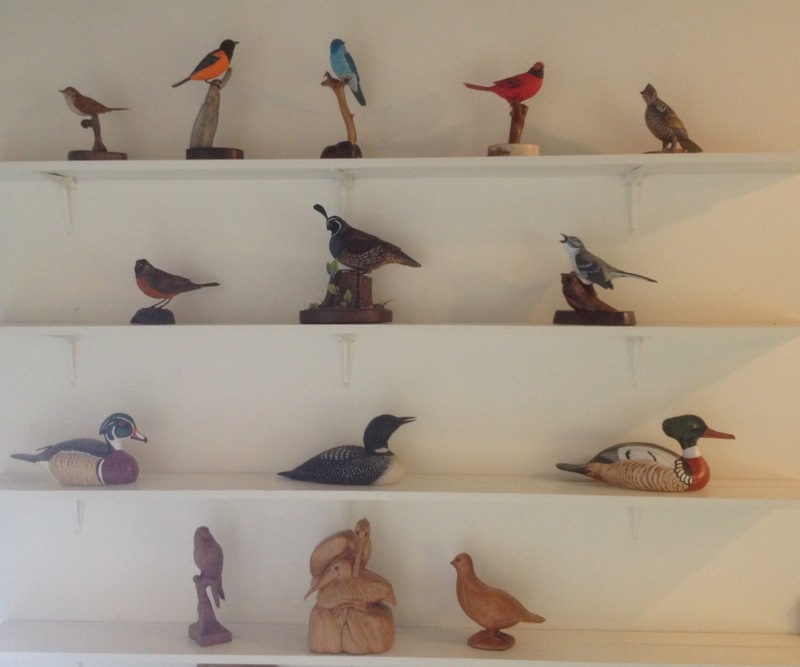 An article by John Flowers (for the Addison Independent last November) paints a picture of a dedicated woodcarver with a passion for natural inspiration and materials and an eagerness for new challenges. Sounds a bit like Bob Spear don’t you think? These life-long carvers have followed similar paths at times too, brightening many homes and outlooks through their talent and efforts. Padua was a New Jersey high school senior in wood shop class when he felt moved by a photograph of a deer to try his hand at carving its image. His instructor encouraged Padua’s interest. After a few months of careful work, he produced his first piece: a small, expressive deer. Padua’s future lay in work as an engineering draftsman, but he made time during lunch breaks and off hours to add to his growing collection of fish, bears, Christmas holiday ornaments for his three children, and birds, including representations of all of the state birds. Padua’s workshop occupies a portion of his basement where his tools suggest an evolution of technique, style, and technology over the years. Basswood is his medium of choice. Padua officially retired twenty-five years ago, yet allows very few days to go by without spending time on or with his carvings. 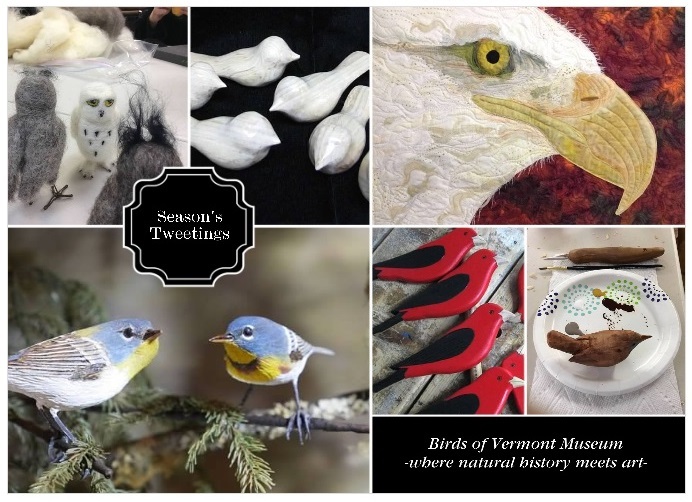 He is very excited about sharing his work with the Birds of Vermont Museum’s visitors and we are delighted to bring it to you. Please come and enjoy! Exhibit dates are May 1–October 31, 2013.